Meghan Markle is less than 50 days away from becoming a member of Britain’s royal family but a new book is shedding light on her life before meeting Prince Harry. 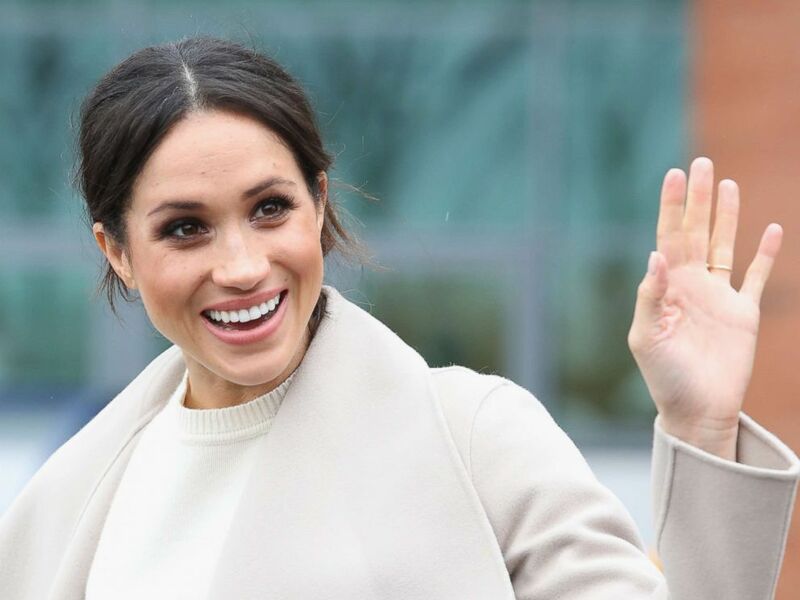 The book, “Meghan: A Hollywood Princess,” claims Markle’s divorce from her first husband, producer Trevor Engelson, was so abrupt that Markle sent her ring back through the mail. “Trevor went from cherishing Meghan to, as one friend observed, ‘feeling like he was a piece of something stuck to the bottom of her shoe,’” royal biographer Andrew Morton writes in the new book. 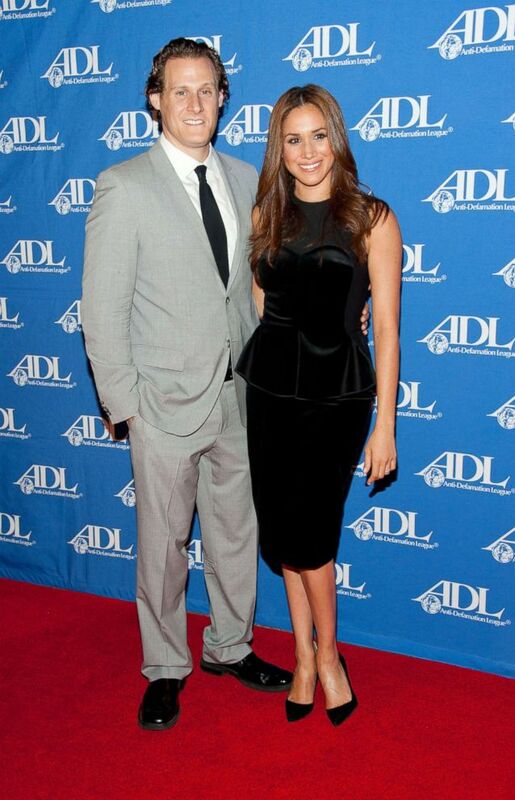 Actress Meghan Markle and her husband Trevor Engelson arrive at the Anti-Defamation League Entertainment Industry Awards Dinner, Oct. 11, 2011 in Beverly Hills. Morton portrays Markle in the book as a social climber. “A networker to her fingertips, she seemed to be recalibrating her life, forging new friendships with those who could develop her career,” he writes. Markle, 36, is a California native who ended her seven-season run as an actress on the TV show “Suits” when her engagement to Harry, 33, was announced last November. 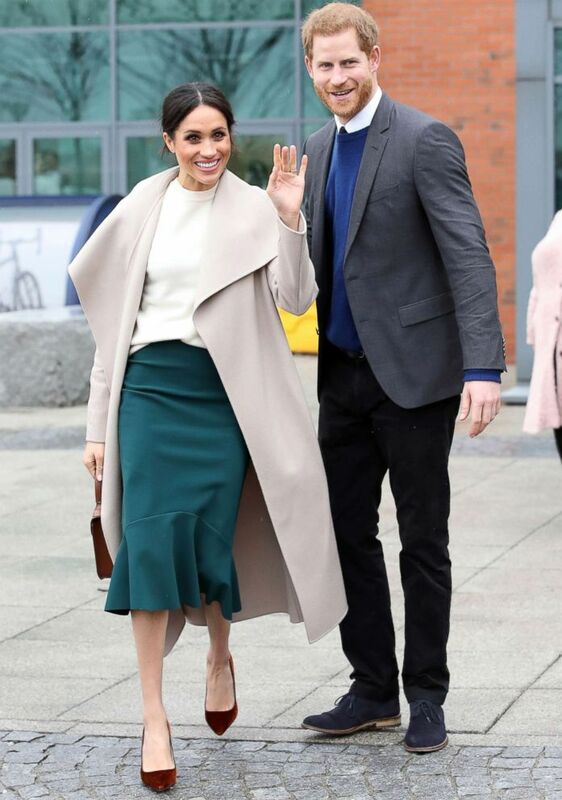 Meghan Markle departs from Catalyst Inc, Northern Ireland's next generation science park, March 23, 2018, in Belfast, Nothern Ireland. Prince Harry and Meghan Markle visit Catalyst Inc, Northern Ireland's next generation science park, March 23, 2018, in Belfast, Northern Ireland. The friend is also quoted as saying Markle “wants to be Princess Diana 2.0,” referring to Harry’s late mother, who was a noted humanitarian. Markle, who graduated from Northwestern University, is also a humanitarian who worked with the United Nations on women’s issues and was an ambassador for World Vision prior to meeting Harry. Morton interviewed Markle’s teenage friends who claim Markle was crying as they watched the funeral for Diana in 1997. 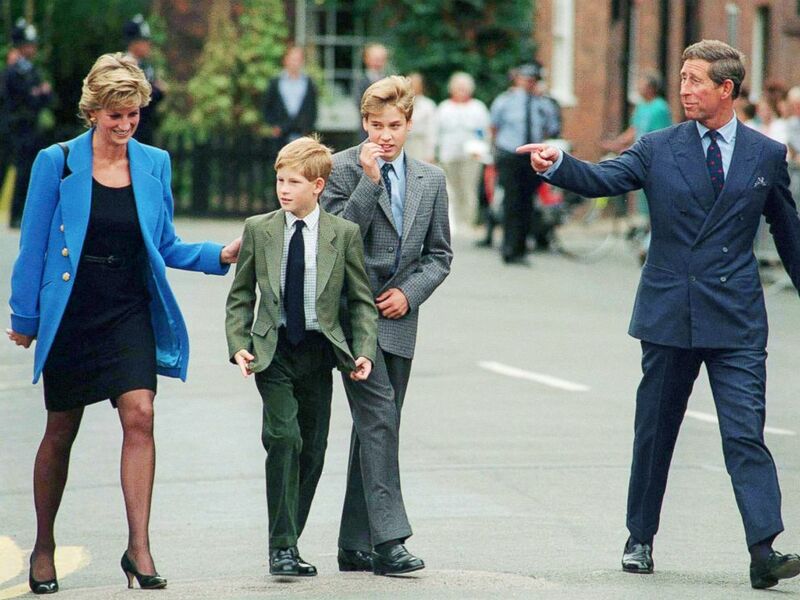 Prince Charles, Prince of Wales, Princess Diana, Princess of Wales, their sons Prince William and Prince Harry arrive at Eton College for William's first day of school, Sept. 1995. “According to family and friends, she was intrigued by Diana not just for her style but for her independent humanitarian mission, seeing her as a role model,” Morton writes. As Markle prepares for her May 19 wedding to Harry, she has thrown herself into humanitarian work. Markle, who now lives in London, has been warmly welcomed by residents of the U.K. as she has traveled the country alongside Harry. She has also worked closely with Harry and Prince William and Princess Kate on The Royal Foundation, the royals’ charitable arm of which Markle will become a patron. Markle has also, by all accounts, been warmly welcomed by the royal family. Britain's Prince Harry and Meghan Markle leave after attending the Commonwealth Service at Westminster Abbey in London, March 12, 2018. 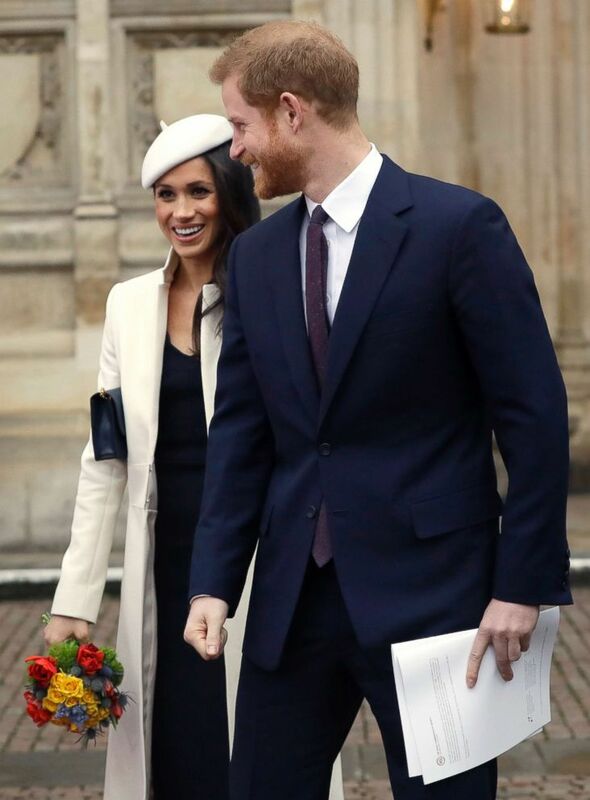 Harry and Markle did not join Queen Elizabeth, William, Kate and other family members on Sunday for Easter services at St. George's Chapel at Windsor's Castle, where the couple will wed.
“Meghan: A Hollywood Princess” will be released in the U.S. on April 17. Andrew Morton will discuss his new book about Markle live on "Good Morning America" on Monday, April 16. Tune in from 7 a.m. to 9 a.m., EST.